Access all your Shell Lake State Bank accounts on the go with our convenient mobile banking solutions for personal and business users. All your information, in one place, on your time. To access your accounts online, you must first sign up at the bank or apply online to receive your login information. After you sign up, you will receive your startup information by mail within a few business days. View an Online Banking Educational Video to learn about about security, step-by-step account access, as well as tips for fraud protection. 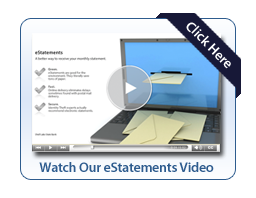 Export transaction information for use with a personal finance applications such as Quicken or Microsoft Money. View step-by-step instructions. Transfer money between your accounts at Shell Lake State Bank and your accounts at other banks, make payments or transfers to individuals, and make same-day payments to billers with Shell Lake State Bank’s Bill Pay option. View Bill Pay. If you need assistance with Bill Pay, please call 1-800-877-8021 and a Bill Pay Support Representative will be happy to help you. Set up account alerts using the “Event Manager” tab. You can be notified via text or e-mail when a deposit posts to your account, when your balance gets down to a certain amount, when a loan payment is due or past due. Message and data rates may apply. Yes, our Mobile Banking service is free. Our standard fees apply for bill payments and Popmoney person-to-person payments made through Mobile Banking. Message and data rates may apply. Yes. Enroll online or contact the bank office to get started. You do not need to enroll for Mobile Banking, unless you plan to use the Text Banking option or Mobile Deposit. Log in to Online Banking to enroll. What accounts are eligible for Mobile Deposit? Most deposit accounts (checking, savings and money market) are eligible for Mobile Deposit. Most checks can be processed through Mobile Deposit. However, we are unable to accept Money Order, Traveler’s Checks, International Checks, Counter Checks, Savings Bonds, or Third Party Checks through Mobile Deposit. What are the dollar limits for checks that can be deposited with Mobile Deposit? You are limited to $1,500 per item and a total of $4,000 per business day. Do I need to photograph both the front and the back of my check? Yes, you are required to photograph both the front and the back of your check. You need to endorse the back of your check with the following: “Mobile Deposit, SLSB acct #”, followed by your signature. All parties must endorse the check if there are multiple payees with a restrictive endorsement “and”. No, You can make multiple deposits, but each session can include only one check. What do I do with my check after it is deposited? Once your check image has been credited to your account, you must mark the original check by writing mobile deposit on the front of the check with the date of deposit and retain the check for sixty (60) days. During this 60-day period, you must store the original paper check securely using precautions at least as secure as those you would use to protect a blank check. Immediately after this 60-day period, you must destroy the original paper check. Your device must have an appropriate data plan that allows transmission of data over the internet. Funds from Mobile Deposits are generally available on the next business day after it is received, just like any deposit. It’s easy. Just log in to Online Banking and set your alert preferences. No. To add a new payee to your list, log in to Online Banking Bill Pay. 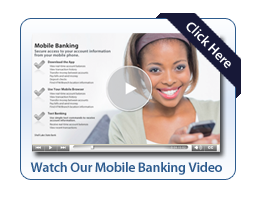 Log in to Online Banking and access Mobile Banking preferences. Locate the phone number and select the option ‘Stop using this device for Mobile Banking’. Or call us at 715-468-7858.